Before leading you to COMPUTEX TAIPEI, Shangchen, a barcode reader supplier helps you decode the secret, why it is so magical. 2018 TAIPEI COMPUTEX EXPO held on June 5 to 9, which construct a new vision of future application. COMPUTEX 2018, equipped by means of TAITRA, Taiwan External Trade Development Council and TCA, Taipei Computer Association, concluded in tremendous success today, as the five-day match attracted 42,284 international traffic from 168 countries. The show featured six themes, together with "AI", "5G", "Blockchain", "IoT", "Innovations & Startups", and "Gaming & VR". Through a series of exhibitions, forums and procurement meetings, the match related industry fee chains by presenting technological know-how agencies like a barcode machine supplier Shangchen and startups the nice platform for promoting and interaction. It sounds so excellent! Right? Certainly, you'll find Shangchen, the expert Iot tools manufacturer, who wholesales cheap barcode scanner, taking part in the grand event. The exhibition opens on 5th, June, we strive our excellent to exhibit the audiences the fine merchandise line including the wireless handheld barcode scanners. The audiences appreciate and communicate incredibly of the barcode scanner, handheld barcode scanner, wireless laser barcode scanner, warehouse barcode scanner manufactured by way of Shangchen. 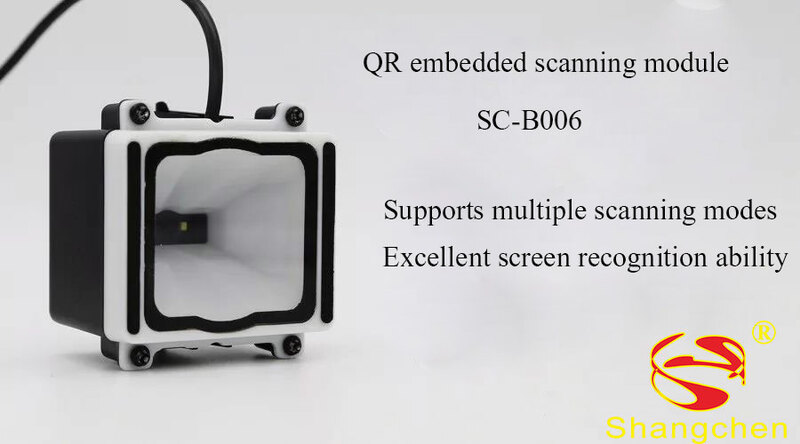 The products put on the show includes 1D laser barcode scanner, 1D CCD barcode scanner,2D imaging scanner, wi-fi barcode scanner, table-mounted scanner, PDA and built-in barcode scanner. The merchandise has a vast application range, apply in a number of events displaying the limitless business opportunities. A new scanning module, SC-B006, made its first look on the show. The audience's eyes lit up via its easy and convenient functions. The module provides various interface and scalability. The customers trip more blissful with its exquisite display analyzing ability. 2018 COMPUTEX TAIPEI has introduced to its profitable close. From curiosity to experience, then achieving cooperation with Shangchen, that is clearly an incredible process! The target market confirmed their approval to the products that are truly not disenchanted their expectation. After reading this blog, do you favor to study more about us? Please contact us for further information.